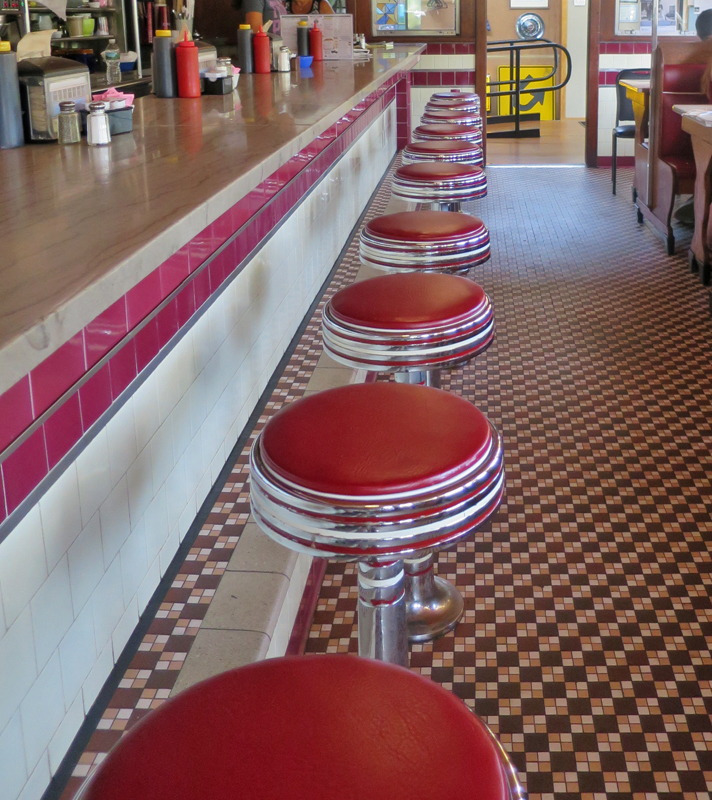 The Dinky’s Diner story is one of serendipity. 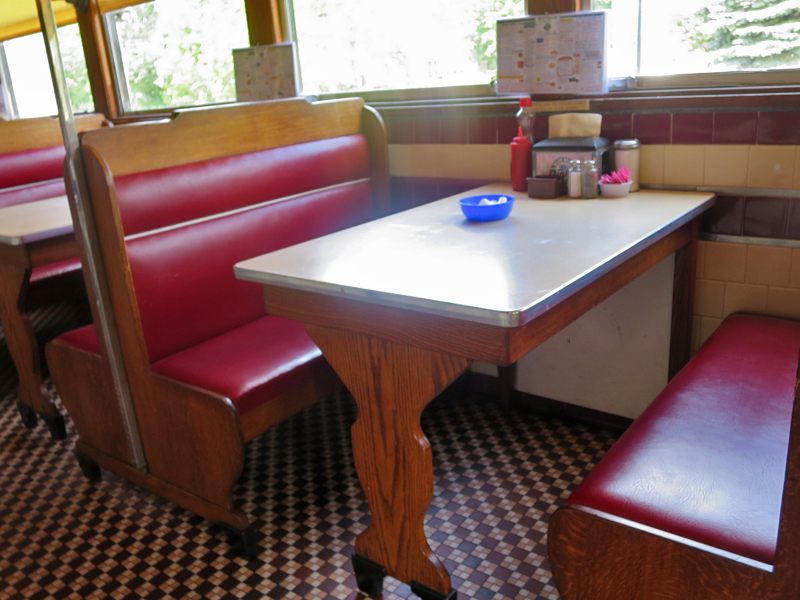 Of a restaurant needing space and a classic Worcester Lunch Car Diner needing a new home with loving care. Let’s start with the restaurant location. 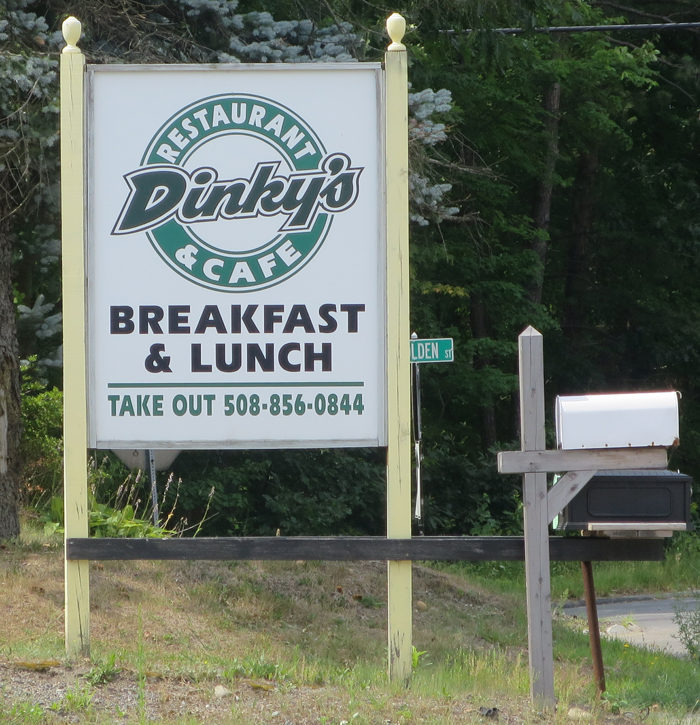 In 1992 a casual spot opened up on this site – Dinky’s Dog and Cones. Their business skyrocketed and soon they were talking about expanding. They were going to build something along the lines of the yellow “regular” restaurant seen here on the right. But then they heard of a cool opportunity. 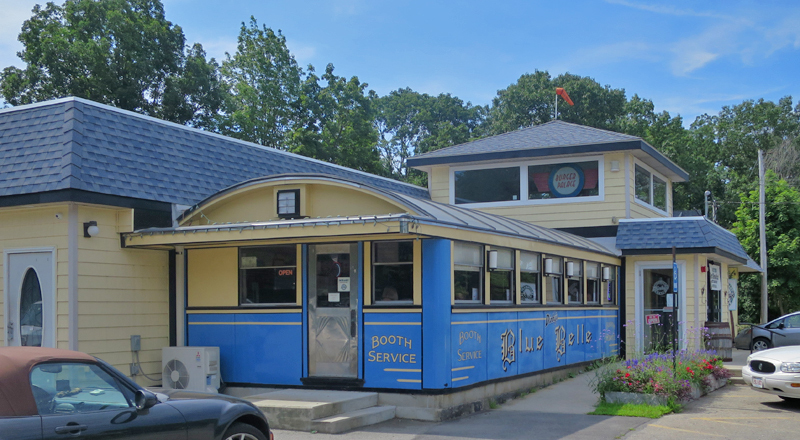 The “Blue Belle” was available! 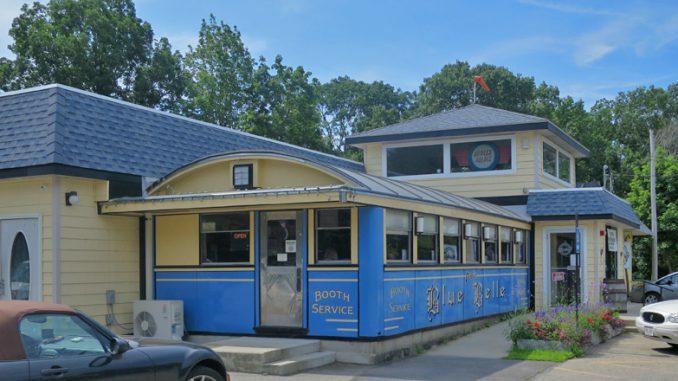 The Blue Belle Diner was created in 1947 by the Worcester Lunch Car Company. It was diner #814. It started out at Chandler Street in Worcester, then moved to Prescott Street. It went through a few more locations in Shrewsbury (at a used car dealership), Milford, and Worcester before ending up in Princeton. But the Dinky’s people knew they had to have it. 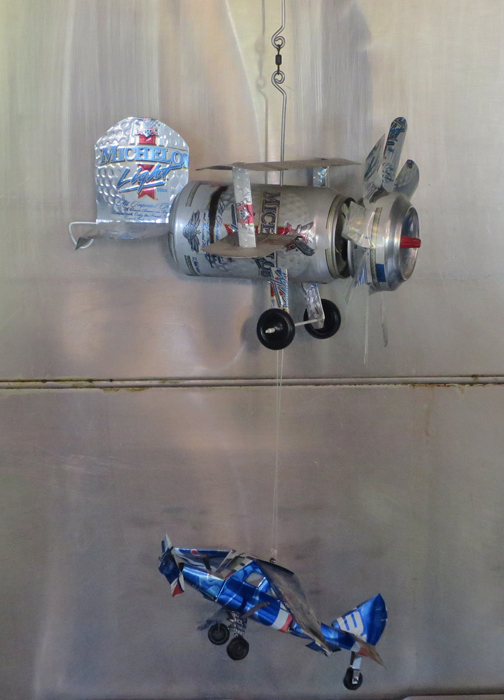 They lovingly restored it, made it part of their new restaurant vision, and voila! Just look at that lovely paint job. 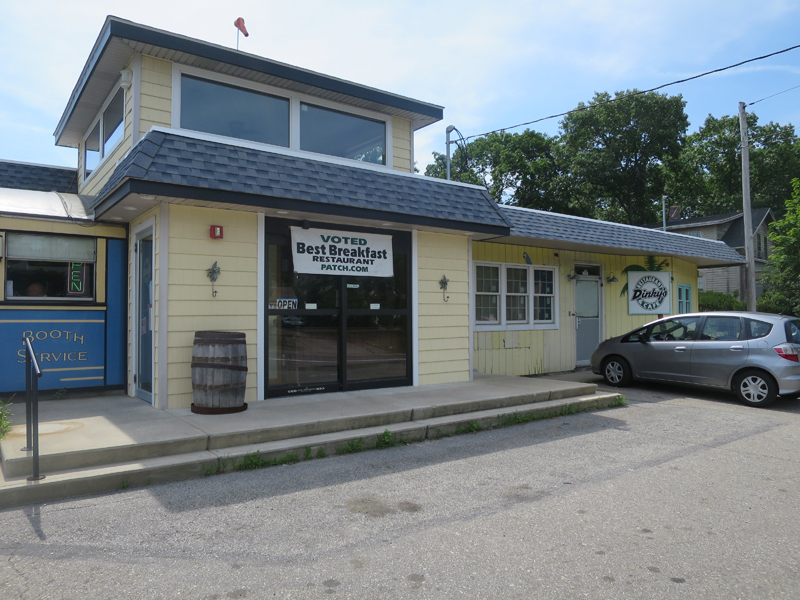 It fits neatly into the new restaurant while still clearly maintaining its classic charm and that Worcester Lunch Car Diner look. And the inside is gorgeous. Red seats with white and metal highlights. Immaculate counters and floors. Here’s the classic curved roof. Note that the cooking isn’t done in the diner itself. It’s done in the main restaurant kitchen. 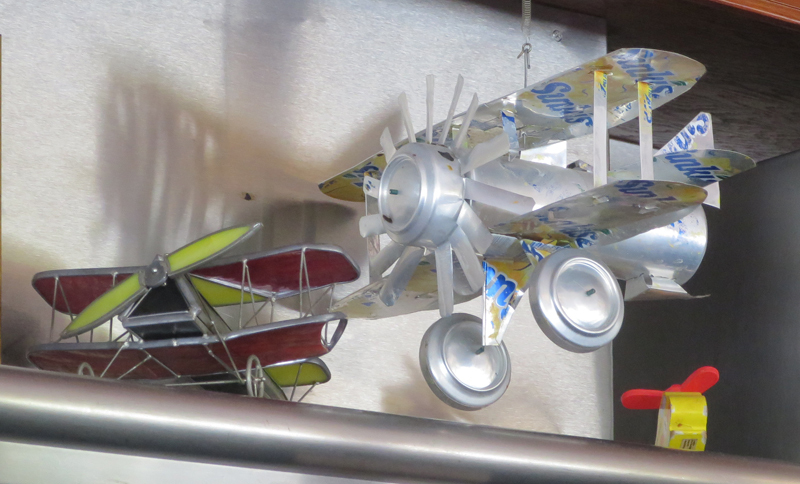 They also have neat decor of planes made from soda cans and stained glass! And a ton of parking, too.